Hier vind u de producen van VinFish. VinFish is een topkweker uit Taiwan. 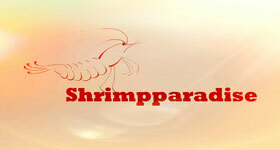 - Shrimpparadise is de specialist op het gebied van bijzondere garnalen voor in uw aquarium, diverse soorten hebben we in ons assortiment. Taiwanbee, crystal red en vuurgarnalen kunt u bij ons kopen. Ching Tung Vin Tsay well known as Vin Fish is a famous shrimpbreeder in Taiwan. His vision about how to breed shrimps in the most natural and ecological way made him very succesfull. I (Michel Botden) met Vin the first time at the Shrimpcontest in Hannover in january 2017. Talking with Ching Tung Vin Tsay about breeding shrimp was a great experience, i learned a lot. We talked a lot about the products he invented and how these products work and what the effects are on the shrimps. I am very proud to be his agent for Europe. Below you can find the shrimps imported from VinFish.